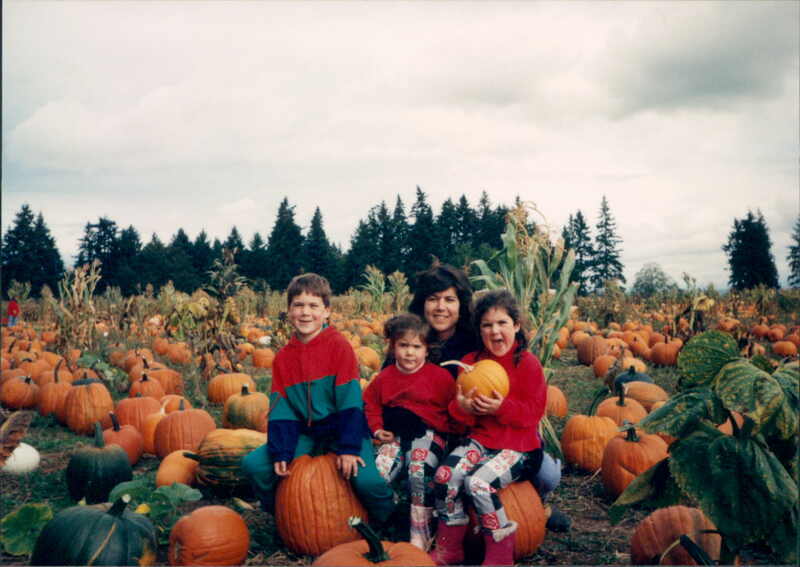 Fir Point Farms in Aurora was my family’s destination for pumpkin hunting when my kids were young. If you’re a believer like Linus, then it’s time to set out in search of The Great Pumpkin and there are several pumpkin patches located nearby where you just might find him! FIALA FARMS. You won’t have to travel too far to hunt for pumpkins at Fiala Farms. Located in West Linn, it’s the closest pumpkin patch to Lake Oswego. And it comes with a five acre corn maze that’s designed to challenge you. Expect it to take at least 35 to 40 minutes. If you time it right, you might also catch a cider-pressing demonstration. Hours: 10:00 a.m. to 6:00 p.m. Monday through Friday; 10:00 a.m. to 5:00 p.m. Saturday and Sunday. Admission to corn maze is $7/adults; $5/ages 6-12; Free for kids under 6. 21231 SW Johnson Road, West Linn. 971.777.3727. LEE FARMS. Located in Tualatin, Lee Farms is also close by. Activities include hayrides, corn maze, petting animals, slides, play area, bounce house, barrel rides and pony rides (weekends only). Free admission on weekdays (paid on weekends) but there is a fee for activities with a variety of ticket purchase options. Hours: Noon to 6:00 p.m., Monday through Friday; 9:00 a.m. to 6:00 p.m. Saturday and Sunday. 21975 SW 65th Avenue, Tualatin. 503.638.1869. KRUGER’S. If you like your mazes haunted, you’ve come to the right place. The three acre corn maze challenges folks by day and frightens them by night. Take your pick. There are pumpkins to choose from too and be sure to check for special offers. Live music, craft beer, food and movies round out the weekend evening entertainment. Hours: Maze Monday through Saturday, 9:00 a.m. to 6:00 p.m., Sunday ‘til 8:00 p.m. Haunted maze 7:00 p.m. to 10:00 p.m. Friday and Saturday through October 28. Check online for prices. 17100 NW Sauvie Island Road. 503.621.3489. BELLA ORGANIC PUMPKIN PATCH AND WINERY. The corn maze comes both ways here as well depending on whether you catch it by day or by night. Should take you about an hour to complete. Enjoy free hayrides to the pumpkin patch. Other activities come with a fee: cow train, grain train, hay maze, duck races, petting zoo, face painting. Hours: 9:00 a.m. to 6:00 p.m. Sunday through Thursday; 9:00 a.m. to 10:00 p.m. Friday and Saturday. 16205 NW Gillihan Road. 503.621.9545. PLUMPER PUMPKIN PATCH. If you want to wear your kids out, this is the place. Weekday activities include tube slides, hay rides, obstacle course, tire garden and play and picnic area. Weekends include apple, corn and pumpkin cannons, live music, pig races, pony rides, barrel train rides and face painting. Check online for activity fees and packages. Hours: 9:00 a.m. to 5:30 p.m. daily. 11435 NW Old Cornelius Pass Road. 503.645.9561. FIR POINT FARMS. Weekends is when this place kicks into high gear with a 6 acre corn maze, kid zone, pumpkin painting, pumpkin walk with prizes, cow train, giant slides, paint ball gallery, bounce houses, hay rides, tire swings, nature trail path, pumpkin patch, petting zoo. Free admission but fees for activities. Hours: 9:00 a.m. to 5:00 p.m. Tuesday through Sunday with October activities beginning at 10:00 a.m. Closed Monday. 14601 Arndt Road, Aurora. 503.678.2455. BAUMAN FARMS. This family farm turns into a fun zone for its annual Harvest Festival complete with 40 acres of pumpkins to choose from as well as mazes, obstacle courses, giant pumpkin drop, rope swing, bounce houses, apple cannon, farm animals, laser adventure and the popular apple cider dumplings. General admission on Saturday and Sunday (and October 12) is $8 or $20 which includes unlimited activities. Prices during the week are $6 and $14. Hours: 9:00 a.m. to 6:00 p.m. Monday through Saturday. 9:00 a.m. to 5:00 p.m. on Sunday. 12989 Howell Prairie Road, NE, Gervais. 503.792.3524. Stay up-to-date on what’s happening in and around Lake Oswego. Subscribe to my blog by clicking the “Sign me up” button in the top right hand column. This entry was posted in Seasons in Lake Oswego and tagged Halloween, Lake Oswego Oregon, Pumpkin Patches. Bookmark the permalink.